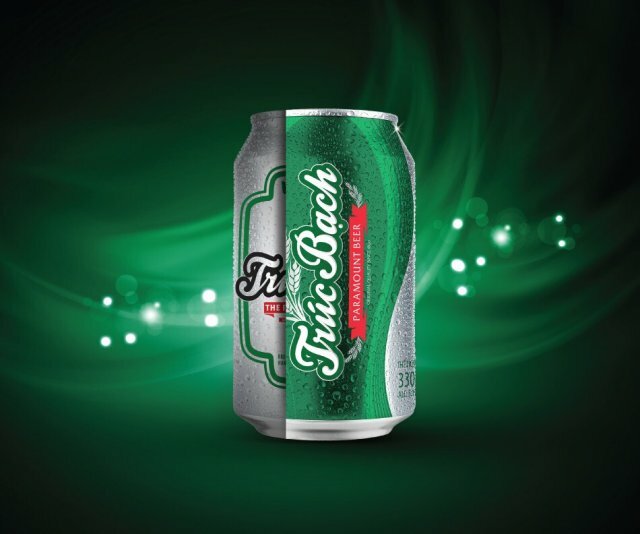 Habeco will launch its new identity for Truc Bach Beer brand. Hanoi Beer-Alcohol-Beverage Joint Stock Corporation (Habeco) will launch a new identity for Truc Bach Beer as part of its brand strategy to renew the image of its products. The announcement was released on July 31 at a press conference that was organized to introduce a series of events that celebrate its 60th anniversary. Inspired by Paramount Beer, the new signature of Truc Bach Beer focuses on the trademark, taking the stylized image of barley flowers, which the product crystallizes from the best raw materials in the world. Regarding the trademark, the product name Truc Bach is located along the length of the can so that it stands out. Wavy lines shaping the cup along the can enhance the sophistication and elegance of the product. This is the second time Habeco has decided to change the identity of Truc Bach Beer since the first change in 2014. Habeco’s most popular brand is Hanoi Beer which targets middle-income earners. Truc Bach Beer is a high-end product line. The new look will officially be launched on August 9 in Hanoi when the company celebrates its 60th anniversary. Habeco’s predecessor was the French-built Hommel Brewery which opened in 1890. In 1958, the brewery was restored and the first bottle with the brand name Truc Bach was produced on August 15, marking a turning point in the brewing industry of Vietnam. It now has become the third-largest beer producer in Vietnam after Sabeco and Heineken.